Tragedy struck yesterday as a truck crushed a couple and passersby to death while on their way to Church in Makurdi, Benue state. 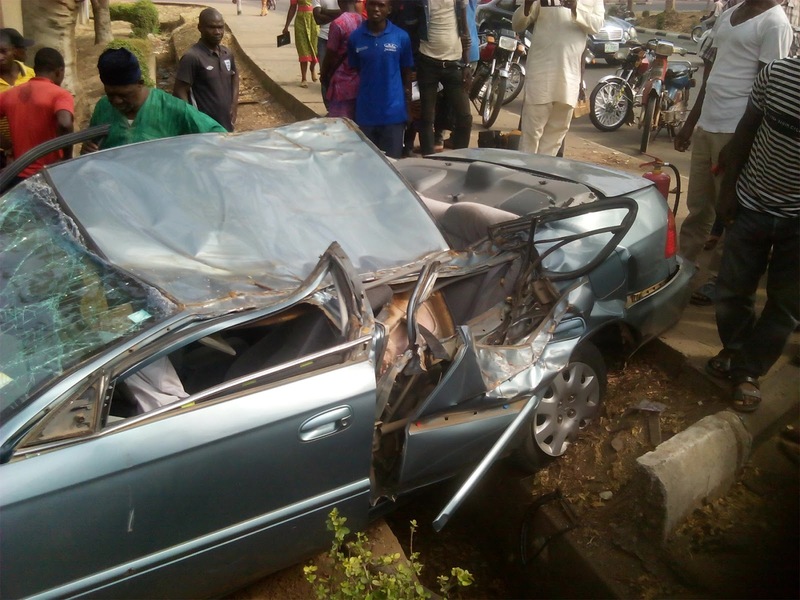 The incident, according to an eyewitness, said occurred around 10.45am at Modern Market Junction, Makurdi. The third person was said to be coming out of the Church when he met untimely death. According to the witness, the couples were riding on their personal motorcycle to the Church when the truck crushed them, including the passersby. Report gathered that the driver of the truck with registration number, XB 969 GBK, was heading to an undisclosed destination when he lost control at the Modern Market junction in attempt to escape hitting a car. The truck, equally hit another unidentified lady who just closed from Church service, the eyewitness said, adding that the driver of the truck escaped immediately the accident occurred. “However, nothing happened to the driver, but the motorbike carrying the couple was grounded to pieces together with the death bodies,” he said. The remains of the victims were evacuated by the Nigeria police and taken to morgue at Federal Medical Centre Makurdi. When our correspondent visited the FMC mortuary, a man who identified himself as Edem Obaah and senior brother to the late retired police officer identified the couple. According to him, “the deceased is my younger brother. He is Patrick Obaah and his late wife Janet Obaah, while am Edem Obaah. In fact, Patrick just retired from active service last month. I’m also a police officer still serving. The Police Public Relation Officer, Benue state Command, ASP Moses Yamu, confirmed the accident.